Khushi creations Understands Your Lifestyle Need And Presents The Cover To Protect Your Round Table, Which Will Enhance The Beauty And Glamour Of Your Drawing Room, Party Lawn Or Conference Hall. 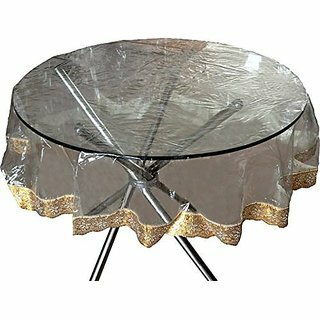 We Have Housed Wonderful Design Laced Round Table Cover That Are Crafted Out Using High Grade Quality P.V.C Materials & Many Other Material Which Makes Them Beautiful And Durable. The Color Combination & Design Of These Cover Are Praiseworthy And Looks Very Rich, Elegant & Attractive. This Cover Is Resistant To Rough Handling And Is Easy To Wipe & Clean, It Also Protects Your Round Table Surface. 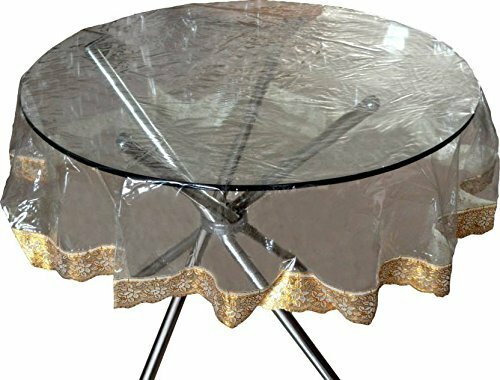 No More Stains On Your Round Table. No More Stains On Your Round Table. It Also Protects Your Round Table Surface. Product Dimension : Inches(60) :: in cms(152.40). It is made of hight quality material and its life is long and durable. Elegant & Attractive, Which Enhances & Gives A Gracefull Ambience To Your Drawing Room.